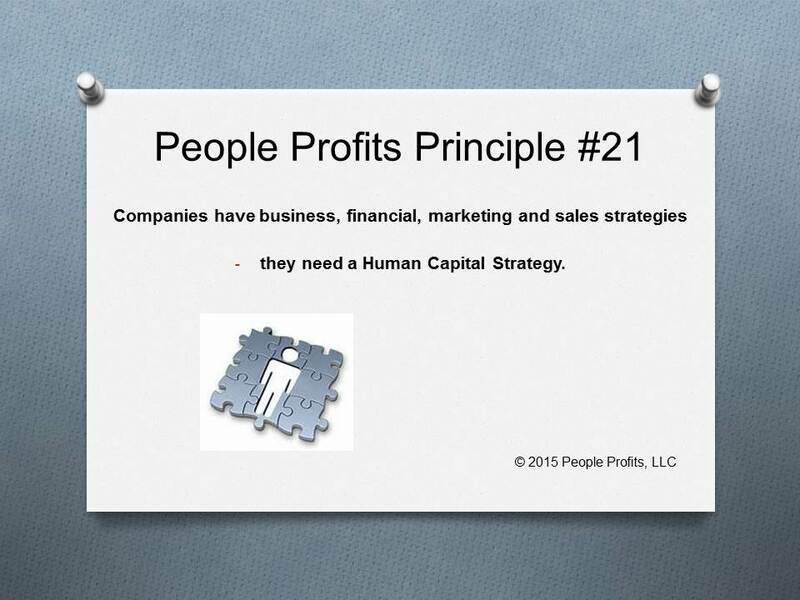 What is you overall Human Capital Strategy and are you getting the RESULTS you WANT and NEED? What are your Recruiting, Development, Deploying, Performance Evaluation, Engaging, and Retention Strategies and Plans? Do they all work together or do they conflict and cost you money? Do you need help developing and implementing those strategies and plans? People Profits has found that when talking to a CEO he can give you documented strategies for many of his organizational functions. However, when ask for his Human Capital Strategy and Plans they seldom exist. How can you expect to get the results you want without a documented Strategy and a Plan? The Strategy and Plan must then be implemented and managed well in the future.